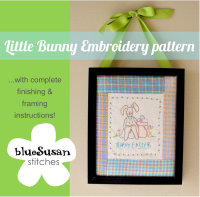 Blue Susan makes: Happy Mother's Day!! Happy Mother's Day to my wonderful Mother!! She inspires me to be creative, try anything, be resourceful, worry less about the small stuff, and work hard. She is such a wonderful example to me and has helped me so much in my life. She deserves credit for all my creative abilities. Since this blog is a place for me to show off my stuff, I thought tonight I'd show off my Mom and just give you a peek at the inspiring lady I grew up with. My mom is one talented lady. Her skill for solving a problem, fixing a mistake, or making do with what she has is amazing. She is an artist. I grew up in a house decorated with her oil paintings. Painting at a family outing to the mountains one summer. She has designed doll clothes her whole life, well at least for as long as I can remember. 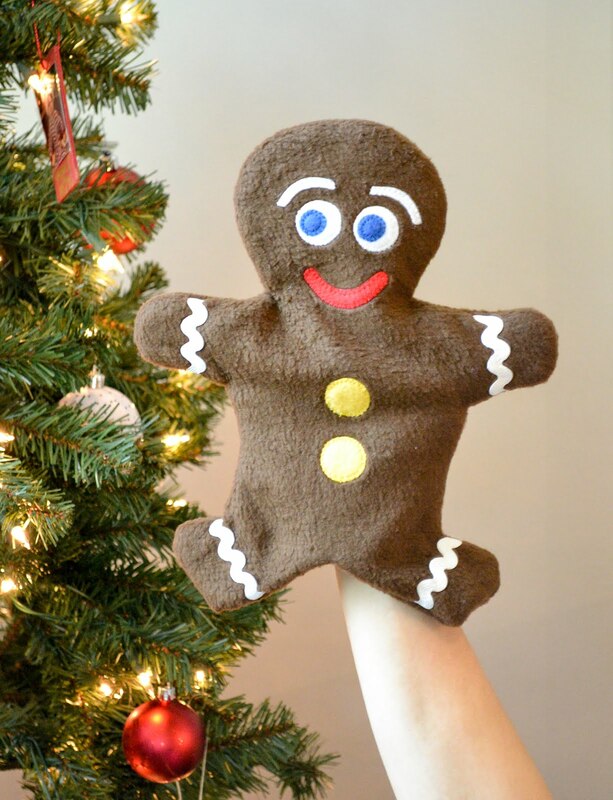 She has developed her own doll pattern company, Nedra's Fully Illustrated Patterns and has over 60 patterns available. 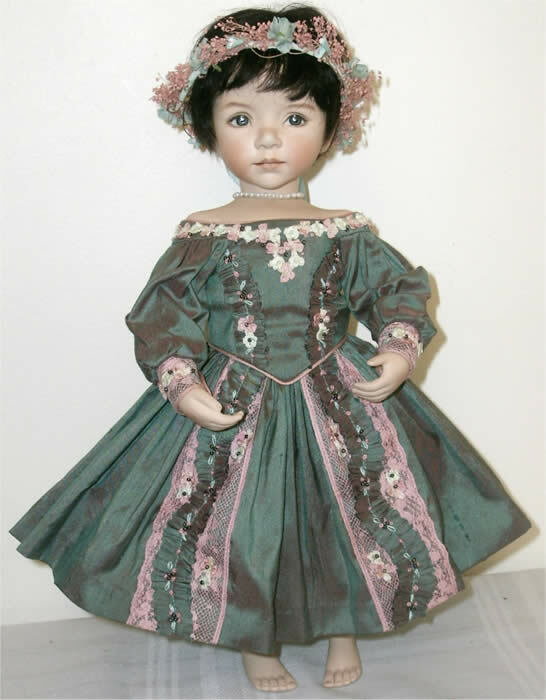 She currently designs for the doll artist Diana Effner. Here are just a few of Mom's pattern designs. 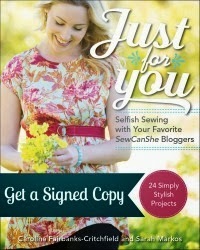 Her workroom is full of anything and everything you would need to create something fabulous. Of course she doesn't just stick to doll clothes. She can make anything! She made my wedding dress, and dresses for all my high school dances. She makes the majority of the gifts she gives to her grandkids. The last several years she has picked up designing jewelry and has a little side business selling it at craft fairs with my sister. Oh how I wish I lived closer to them. They met up with me for our Quilt Market trip last Fall.. what fun! She and my father are avid gardeners and grow beautiful flowers and vegetables in their park-like yard. Anyway thanks for letting me show off my Mom just a little. I am so grateful for her! Happy Mother's Day to you Mom! I love you! 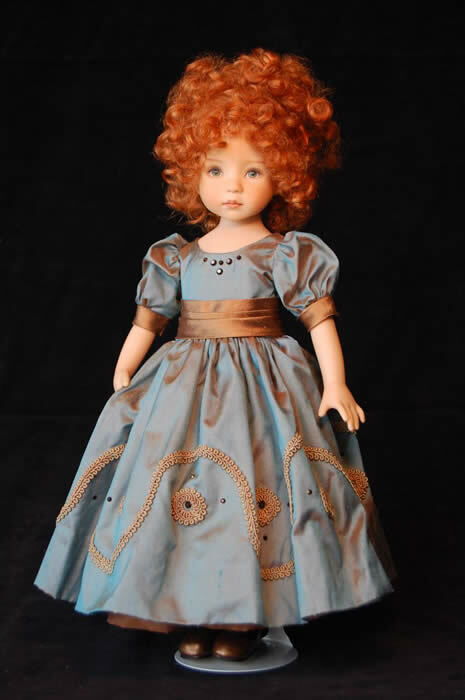 I know that most everyone of a certain age is someones mum but I have made porcelain dolls in the past and Diana Effner's dolls were my favourites to make. 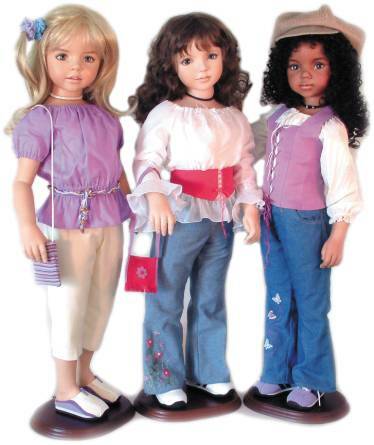 I think one of the things that really made me love the dolls were the clothes that she put on them. And your mum designs them!!!! WOW!!!!! Sorry, but that is really exciting to me. Please pass on my love of your mums designs to her. Thanks!